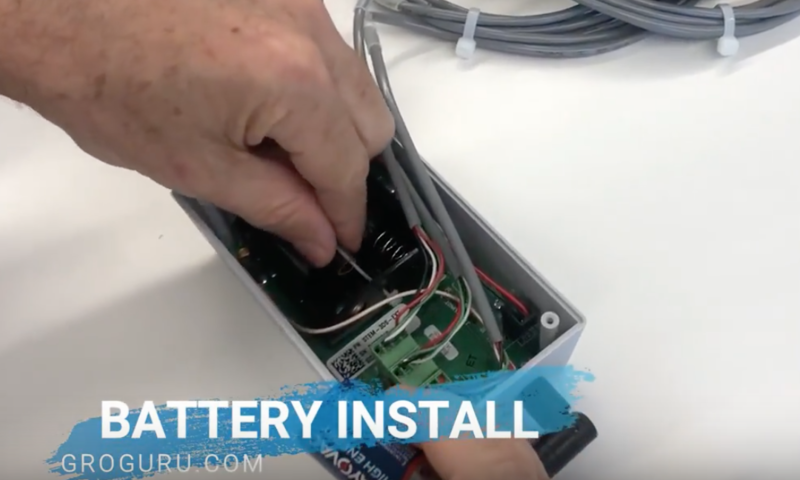 Installing the battery in the GroGuru system can be a bit challenging, so check out this quick video for a simple demonstration! Make sure when installing the batteries that you keep the clear plastic piece out around the outer edge of the batteries, so that it doesn’t sink in between them. This will keep the batteries secure once you tighten the lid on. We are here to help you anytime you need it! If you need help installing the entire solution in your field, check out this story!